As any of my friends will tell you, decorating a dining room table is one of my strong suits. So, I am bringing you inside my home to show you how I do Thanksgiving. 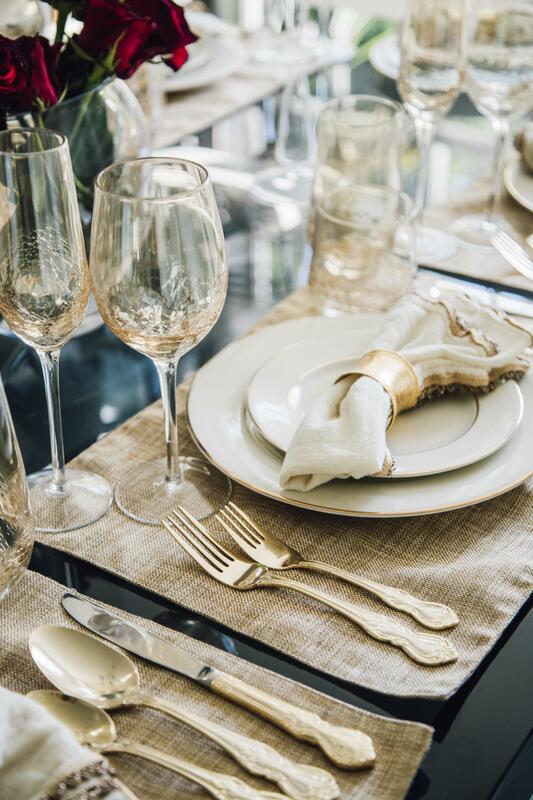 From stemware to silverware – it’s all about the details. And here’s a tip: you can do this at any price point. Creating an environment that is accessible and luxurious is a balancing act, but with some personalized touches it can be accomplished with ease. Don’t be afraid to take risks on special occasions, like the holidays. 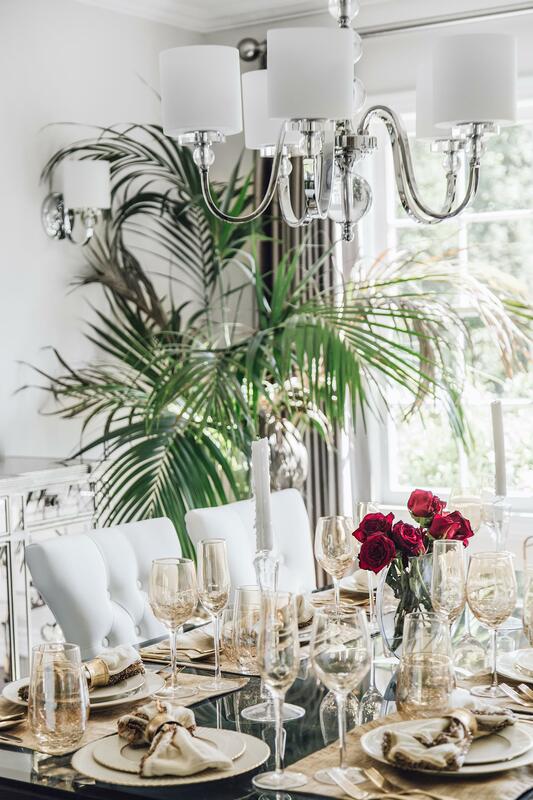 Gold gives that elegance and thematic feel, but it can be substituted with silver, green, red, orange; virtually any color. You can mix and match if you are into a more eclectic feel. Staying monochromatic is also an option – and my personal favorite. Whatever environment you are trying to set will immediately be felt. 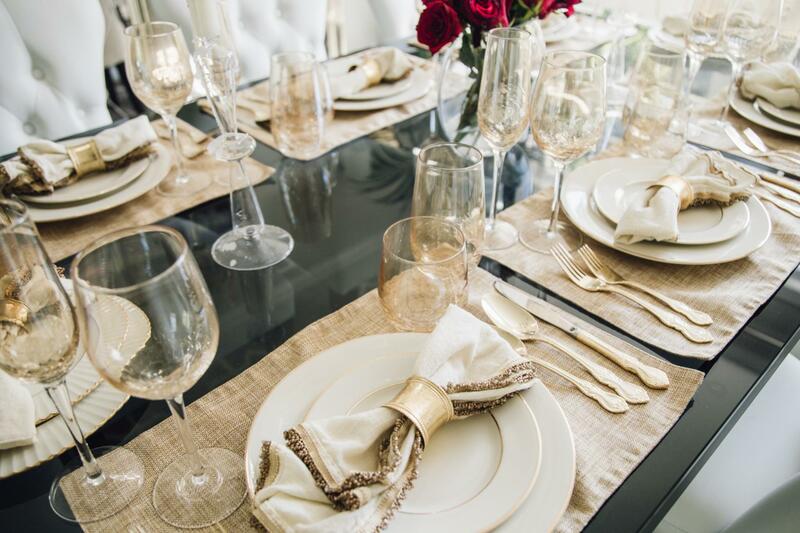 For me, Thanksgiving is about intimacy, family, love, gratitude and I am hopeful that this table says that and opens the door for laughter, love and thanks!